Properties in Ramon Tahuichi Aguilera Stadium average 4.6 out of 5 stars. Condominio Palma Blanca:Your Home Away from Home. Su casa lejos de casa. Property 3: Condominio Palma Blanca:Your Home Away from Home. Su casa lejos de casa. Feel at home !! Breakfast buffet included !! Property 4: Feel at home !! Breakfast buffet included !! Downtown Apartments "Altos del Sur"
Property 6: Downtown Apartments "Altos del Sur"
Condominio Palma Blanca. Furnished Deluxe Apartments. Property 7: Condominio Palma Blanca. Furnished Deluxe Apartments. Property 11: Apartment downtown 2 rooms !!! 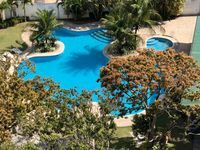 Downtown Apartment "Altos del Sur"
Property 14: Downtown Apartment "Altos del Sur"
Property 18: IDEAL DEPARTMENT FOR FAMILIES, EXCELLENT LOCATION NEW BRAND NEW !!! Holiday rental Santa Cruz de la Sierra Bolivia. Property 20: Holiday rental Santa Cruz de la Sierra Bolivia. Property 25: Sweet Home Private Dept. Ranchito en la ciudad ! Property 32: Ranchito en la ciudad !